A perfect little home that this couple built right before their wedding! 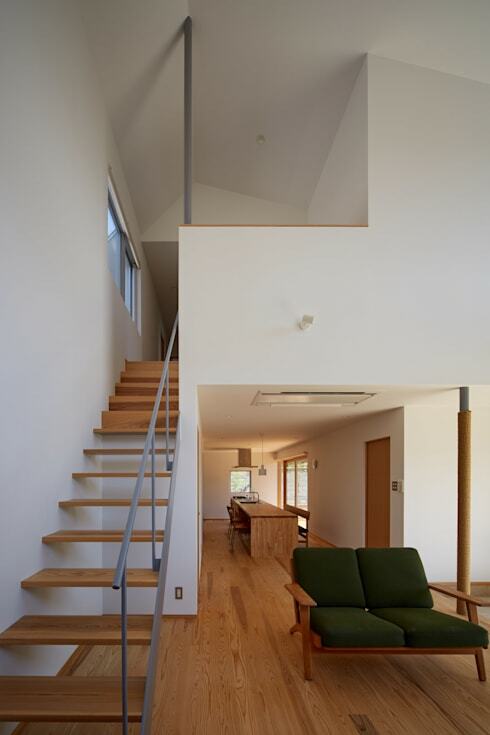 A home with inspired Japanese aesthetics is often just what we think, simple, elegant and tidy. And although the house we visit today as a limited area of only 93 square metres, the interior is unashamedly stylish and charming. 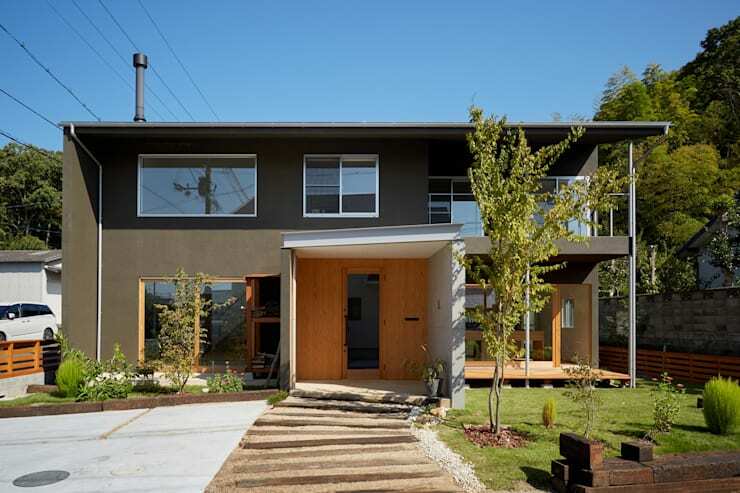 The home is two storeys high and although the area is pretty compact, the architects have created a gorgeous and spacious looking environment. The colours included in the décor are neutral, simple and inherent of natural charm and discreet, soothing design, making this modern home so much more warm and inviting. But wait until you see the gorgeous courtyard! 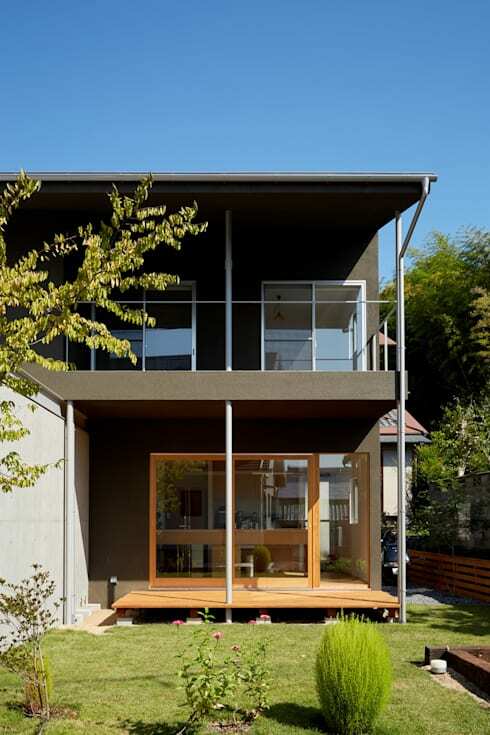 The façade of this Japanese home is open and inviting, with modern elements upgrading the traditional layout of the design. The pathway leading up to the entrance is made by using raw materials, such as aged wood and pebbles, striking a perfect balance of character and charm to the otherwise stark exterior. It’s dramatic, yet simply stunning, definitely a home that makes for an eye-catching effect on the street. 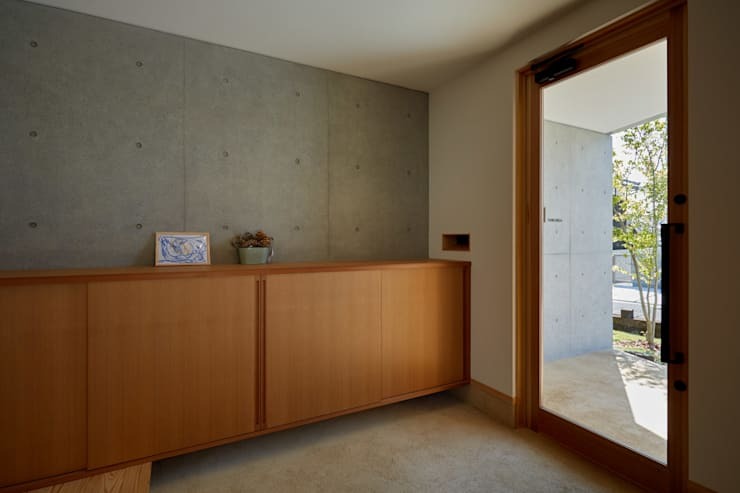 Once we enter the home, we are privy to a different element of design, the use of exposed concrete design creates a spacious entrance, while minimalist detail decorates the space too. 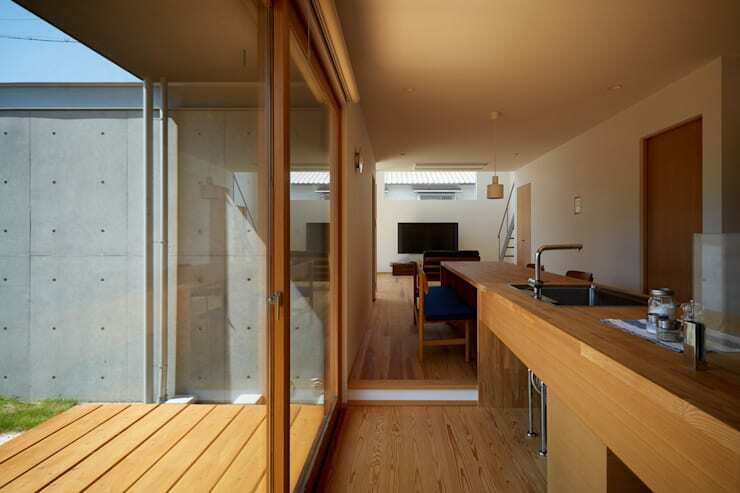 However, the addition of wood makes the space welcoming and bright. The storage space in the entrance is a great way to keep interior clutter to a minimum as well, perfect for this style. Here we catch a glimpse of the dining room and kitchen area, as well as the minimalist staircase that leads the way to the sleeping quarters of this stunning modern home. It's clear that the simple use of colour and neutral elements have added to the design, maintaining a trendy yet sleek interior throughout. 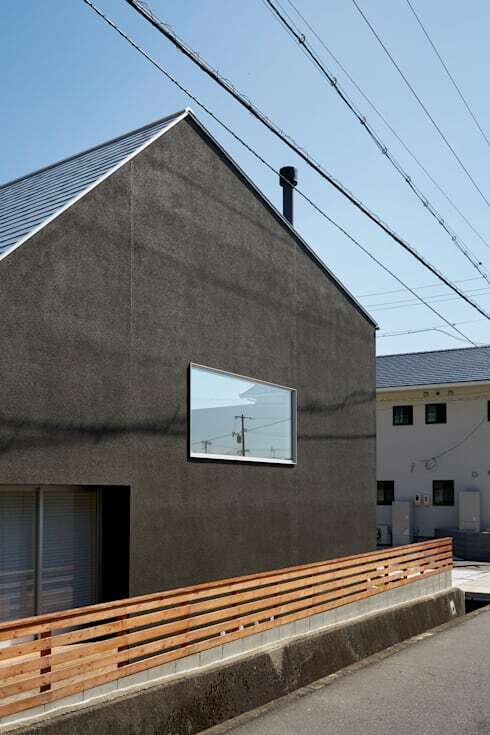 So this house might have a narrow interior, but that doesn’t mean that the architects didn’t make the best of the slim situation. The team utilised some clever design tricks to create the illusion of space, opting for a long, narrow kitchen island to balance out the open plan living area, keeping all furniture and fixtures in the same line to maintain an asymmetrical element. The room is also flooded with natural light through the large and space enhancing window, allowing for views of the garden too. From this exterior angle, we see the raw, exposed concrete décor of the home. And although it is simple, it definitely has a visually dramatic design function too, giving this traditional home an industrial edge. Concrete is a fantastic choice for its versatility, a relatively affordable cost factor. The garden definitely completes the charming and comfortable atmosphere of this home in a holistic manner. The design ensures that it will be well-sheltered from the wind, while also being a relaxing space to enjoy the fresh air and sunshine. If you're looking for a proudly South African home design, then: An extraordinary estate home in Mossel Bay is a fantastic example of style. What did you think about this stylish home? Has it inspired you?